The professional suit attire and look for men have certainly evolved from one generation to the next. Fit is the most important aspect of dressing up your professional look. For this month’s blog, we want to discuss professional suit alterations for men. Our focus is on classic men’s suit and how you should alter it to make the outcome fitting in a professional and fashionable sense. New suits nowadays are tailor-made and sold to accommodate your body, but we’re here to inform you that professional suit alterations can be made to your old suit, so you won’t have to buy a new one. Even when you’re buying suits off the sale rack, they can be perfectly altered to reach your ultimate fashionable and professional look. A suit’s garment can only be altered at the seam. “Taking-in” means that the garment is altered smaller. Un-sewing the seam and then re-sewing again away from the edge of the fabric will get this done. This is perfect for any loose garments, particularly in the back, or when you need to tighten the fitting of the jacket. Back in the 80s and 90s, linebacker shoulders from your suit may have been a thing. Now, it just doesn’t fit in with the times. You may be looking to resize your shoulders to look smaller. By doing this, the armhole, sleeve head, and chest will need to be altered as well. The sleeves also get shorter. Taking-in the shoulders also mean slashing shoulder pads and re-cutting them. Nothing says unprofessional than sleeves that are too long. Trimmed jacket sleeves will give off a classic, mature appearance. Many off the rack suits usually have sleeves that are a few inches too long. Alter the sleeves so it allows ¼” to ½” of your inner shirt’s cuff. Whether you are seeking to let-out (bigger) or take-in the jacket’s mid-section, this can be easily done. A jacket that is too small in the chest can be rather snug in your belly. Alterations can also suppress the waist enough to accentuate the ideal “V” shape for the torso area. This look will clearly showcase your waist and shoulders. However the main idea is that it fits, not tight. Trousers that reach near the bottom or way over the shoe are not a good, professional look. This may be the case for most off-the-rack pants. Hemming the pants is the only option. Now, the thing you need to decide is whether you want to hem it to have cuffs or no cuff at the bottom of your pants. Both will be wise choices, thus are no wrong answers. Cuffed pants are more traditional; the weight of the cuff allows the fabric to drape naturally. The result can be a classy look. However cuff pants are best for pleated pants. Non-cuff is perfect for those slim, plain front trousers. They also look very good with straight leg pants. Remember, it’s better to buy the correct hip size and alter the waist size if need to. 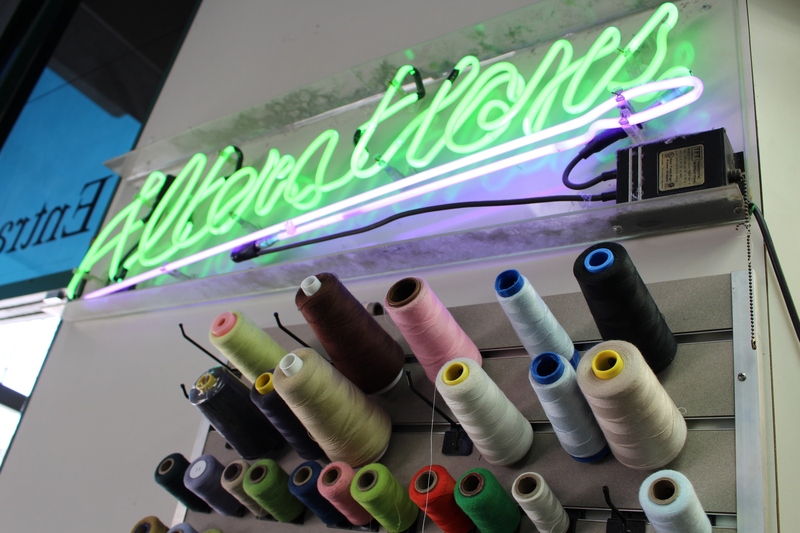 Pico Cleaners is a dry cleaner business that specializes in utilizing Green and eco-friendly dry cleaning for all fabrics in the Los Angeles area. 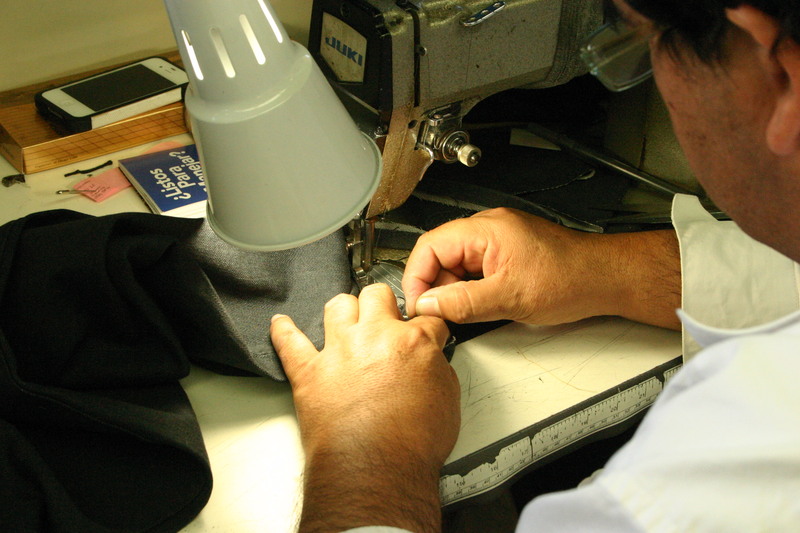 Our alteration services are top notch, we have an experienced and knowledgeable team to resize, seam, repair, and hem to the best quality of work. 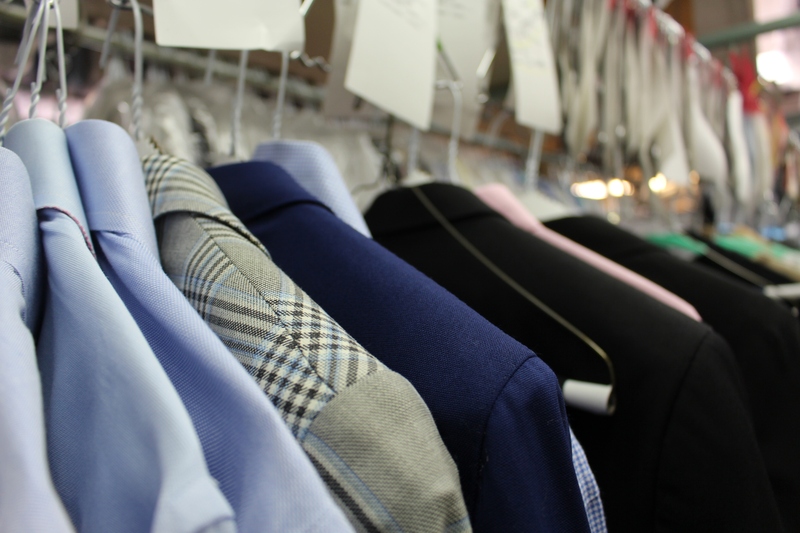 Stop by Pico Cleaners today to get the best out of professional suit alterations.